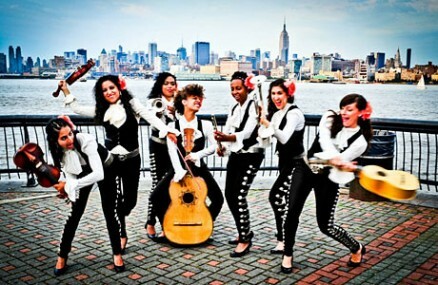 Mariachi Flor de Toloache is the first and only all-female mariachi band in New York City. Picked by NPR’s Alt.Latino listeners as among the Best Music of 2013, they represent Mexican mariachi music while adding their own edgy and versatile sound. The nine-member ensemble plays traditional instruments, including violin, trumpet, guitarron (bass), vihuela (five-string guitar), and guitar, and each musician brings her own unique background to the group’s mariachi style. The band is lead by cofounder and lead vocalist Mireya Ramos. Curated by ethnomusicologist Emmy Williamson for the City of the World series. Contact 212-817-8215 for discount information.